A new study finds discouraging “purple squirrel” hiring practices is key to meeting Wisconsin’s workforce and civic needs. In 2013, researchers Matthew T. Hora, Ross Benbow and Amanda Oleson from the Wisconsin Center for Education Research at the University of Wisconsin−Madison launched a $600,000 NSF-funded study to explore the controversial notion that a gap between workforce needs and the skills of available workers is slowing job growth in the state, primarily due to an out-of-touch higher education sector. At the time, one in 10 jobs in the state could not be filled, according to the Office of the Governor. Through interviews with 70 Wisconsin educators in two- and four-year colleges and universities, and 75 employers in biotechnology and manufacturing, Hora’s research team discovered that in addition to specific technical knowledge, employers greatly value abilities to work within a team, communicate, think critically and continue learning throughout their lives. The National Research Council calls these “21st-century competencies.” These competencies result from our mental, social and self-management capabilities, and guide how we use technical and other learned knowledge. Hora, at Qingdao Technical College on China’s north coast, with Lu Xiaoze, assistant dean of engineering. Hora says that colleges and universities must find a way to teach these competencies so students are better prepared for the demands of today’s complex world, whether on the job or grappling with civic issues like climate change. “Higher education needs to think deeply about the types of courses and teaching methods that develop these competencies.” Hora also advocates for integrating more hands-on learning and authentic problem-solving into instruction. Another key finding in the WCER study is that businesses could do more to address skill deficiencies. For instance, many employers don’t provide formal training and professional development for employees throughout their careers. “That part of the skills-gap debate is largely ignored,” Hora points out. So is the subjective nature of the hiring process. The researchers discovered that many employers make hiring decisions based on a “cultural fit,” which screens out many candidates and may explain why many jobs are not filled. “An applicant could look great on paper, but if that individual doesn’t fit with the organizational culture, doesn’t share the same hobbies and interests of other employees, it’s possible that person won’t get the job,” Hora says. 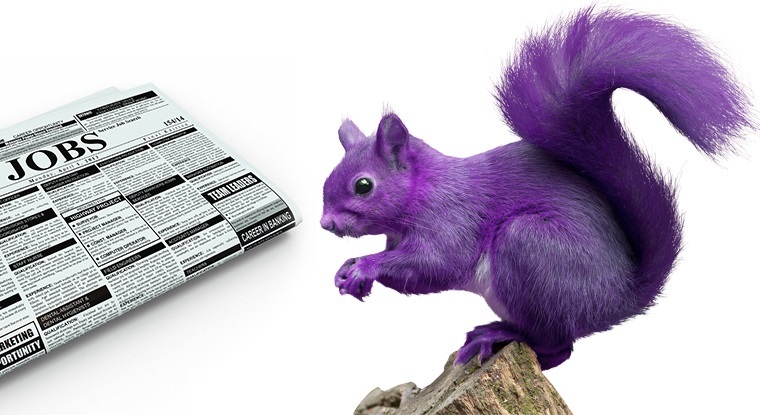 This means that some businesses may simply be too picky when trying to find the right person for the job—the endless search for what the hiring firm ManpowerGroup calls the “purple squirrel” that doesn’t exist. A book by Hora and colleagues detailing their research is being published by Harvard Education Press. The Wisconsin study, completed last year, is discussed in greater detail in “Beyond the Skills Gap,” a book co-authored by Hora, Benbow and Oleson, scheduled for release by Harvard Education Press this fall. With the state study in the rearview mirror, Hora and Benbow now are looking at a bigger picture. They recently kicked off a national $2.2 million NSF-funded project in collaboration with the Rochester Institute of Technology (RIT) to study how the four key competencies identified in the Wisconsin study—teamwork, communication, critical thinking and lifelong learning—are being cultivated in postsecondary classrooms and in companies in four high-STEM job regions: Houston, Denver, Raleigh and Seattle. Over the next four years researchers will interview educators and employers, observe classroom teaching and conduct focus groups with students and employees in the photonics, information technology, energy and advanced manufacturing industries. Looking ahead, Hora wants to expand the study globally by investigating the relationship between classroom teaching and workforce development in East Asia. He already has started to gather data. In May, he was invited to China by the Qingdao Technical College to study these issues in their engineering and biology departments, and to share his research on faculty development and education-industry partnerships. “I want to find out if similar dynamics are unfolding in China as they are here in Wisconsin: Are employers struggling to find skilled applicants? Are colleges struggling to find money? Is innovative teaching going on in the classroom? How are students reacting to all of this?” posits the WCER researcher. Hora observes a biology class in China with help from his translator, Liming Wen, an English teacher at the college. One of the surprising finds during his visit to China was the high level of interest in active learning by faculty and administrators. “I had this preconceived notion that Chinese teaching was essentially a lecture-heavy exercise in rote memorization, but things are changing,” shares Hora. “Basically, the U.S. should take notice that China is beginning to think about the importance of 21st-century competencies for their workforce.” While most U.S. states are cutting budgets for public higher education, China is investing significantly in education and focusing on teaching reform to maintain economic growth and develop more innovative thinkers. By 2020, there will be more college graduates in China than the entire U.S. labor force, according to Bloomberg Technology. This astounding statistic, along with the roles that cultural tradition and political history play in shaping national education, has whetted the investigative curiosity of Hora, also a trained anthropologist. In the future, he hopes to expand the research program that began in Wisconsin to include Japan and South Korea. But for now, he has plenty of questions in search of answers about how higher education and businesses can work together to improve the workforce of the 21st century, right here in the United States.